I love Easter. I love the chocolate, I love the Easter egg hunts round the garden and I love the sentiment of new life and new beginnings. But sometimes I feel guilty that the real meaning of Easter gets a little bit lost. At Christmas, the story of the birth of Jesus is part of the season's tradition of nativity plays. And jolly old Father Christmas is still referred to as Saint Nick. But at Easter, you don't really get the same excitement over the Passion. Hot cross buns are pretty much sold year round and Easter eggs are more about fluffy rabbits and chicks than the story of Jesus dying on the cross and rising again. So I could hardly contain my excitement when I spotted The Real Easter Egg as I trailed the aisles of Morrisons this week. 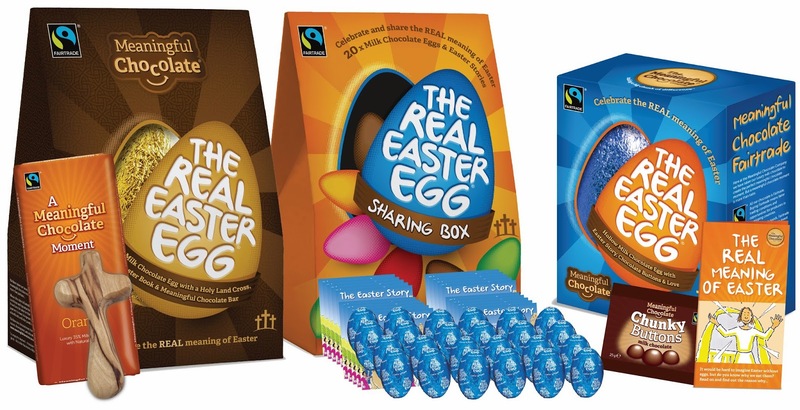 The Real Easter Egg is the first and only Fairtrade chocolate Easter egg to explain the Christian understanding of Easter. The original Real Easter Egg includes an egg made of Belgian Milk Chocolate and some Swiss chunky chocolate buttons. But you also get a 24 page Easter story book. A charity donation is made from each sale. As well as the original Real Easter Egg, you can also get a special edition, luxury egg, which includes a wooden cross from Bethlehem and a sharing box. 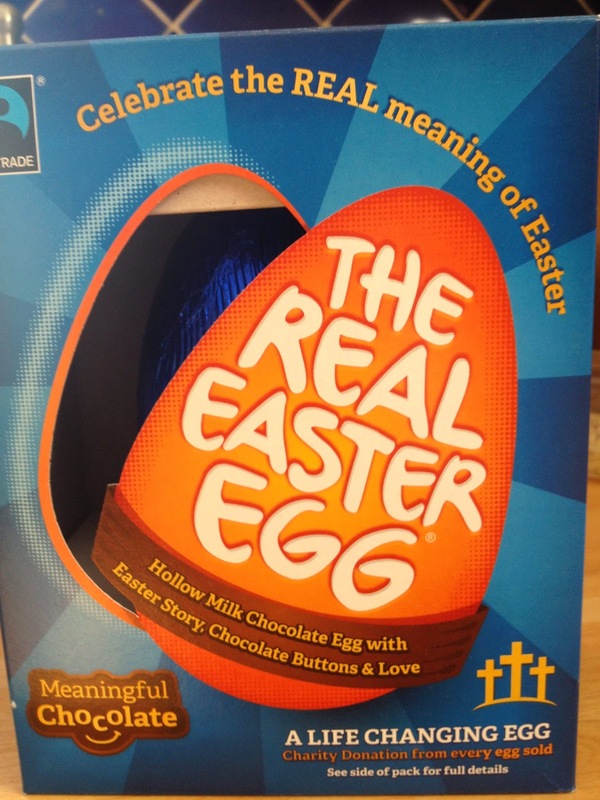 Having struggled for years to choose Easter eggs for my family and friends, particularly as I boycott Nestle, this year my life has been made much easier. I think I have a new favourite chocolate company and I will be looking out for more from the Meaningful Chocolate Company in future (especially at Christmas). DISCLAIMER: This post is in no way sponsored or endorsed by the Meaningful Chocolate Company or the Real Easter Egg. These are all my own opinions.